Working almost exclusively with feral cat communities, PSFR is not a traditional shelter but rather a close-knit group of volunteers who care for cats on the outskirts of society. In fact, the majority of their work consists of feeding and maintaining feral colonies. They make sure that every cat who crosses their path is up-to-date on vaccinations, is tested for illness and receives any necessary treatment. And all felines they come into contact with are eventually spayed or neutered, without exception. In addition to managing feral colonies themselves, PSFR also offers advice to independent colony managers. These aid providers are skilled in TNR, a method where felines are trapped without injury, neutered or spayed, and then released so that they may return to their feral group. With the assistance of veterinarians affiliated with PSFR, feral cat communities are closely monitored and carefully managed according to guidelines established by Alley Cat Allies, a popular feline advocacy organization. Any adults and kittens judged to be viable candidates for adoption live with one of PSFR’s devoted foster parents until a suitable forever home can be identified. 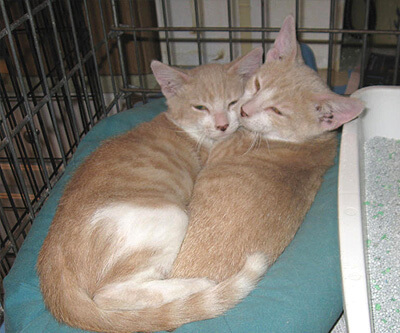 Rather than devoting substantial funds to maintaining, updating and operating a dedicated shelter facility, PSFR believes a pure foster-care strategy offers significant advantages to the feral cats who are determined to be good candidates for adoption. 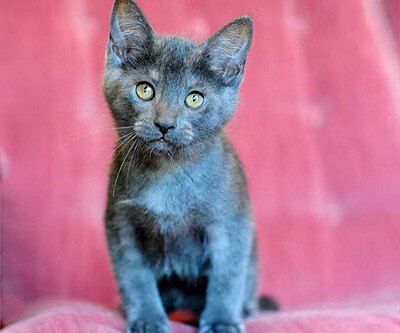 These rescued felines live in homes, not in cages, which PSFR contends makes for an easier transition when adoptable cats move in with their new pet parents. In foster care, they are allowed to roam freely and socialize with humans on a daily basis. Furthermore, this level of interaction allows insight into each cat’s personality, helping PSFR’s volunteers to find the perfect match when suitable pet parents come to call. Our recent grant was used to help fund efforts to spay/neuter feral cats in an area of town where a few trailer parks intersect. Thanks to their diligence, a portion of this land is nearly completely under control, although there are still a few stragglers. Workers admit that some felines are “just too clever” for standard trapping, so other humane methods must be devised. 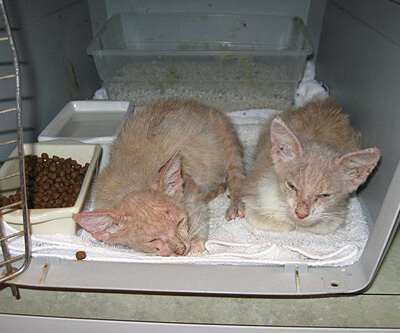 Although our grant was only a small part of Paws South Florida Rescue’s budget, we’re so pleased and proud to have helped play even a small role in their 2011 achievements, which include trapping and sterilizing 116 feral cats and rescuing 15 kittens who found new homes during an active season of holiday adoptions at year’s end. Two of the cats helped by the funds we provided are Zeus and Apollo. When they were rescued, they were in pretty bad shape … mange covered large parts of their bodies. In fact, the disease was so progressed that their eyes were completely encrusted. As you can see from the before-and-after photos below, thanks to the loving care and attention provided by PSFR, Zeus and Apollo made full recoveries! We’d like to convey our sincerest thanks to all of our readers who, through their personal donations and continued patronage, made this grant possible. You have directly helped the dedicated network of Paws South Florida Rescue’s volunteers to continue their vital work towards making the world a better place for abandoned and homeless companion animals. If you or someone you know works with an animal rescue organization worthy of special recognition and financial support, please know that we are actively seeking grant applications for 2012. We encourage you to ask our customer service for more info about how to apply for a Dr. Jane’s HealthyPetNet Foundation award. cats are my personal favorite people, i love all my furry friends but i have always had the cats, they are solely independent, they all have their own personality which is so different from others they are so funny and noisy and i would not be without them. thanks for all you do. Those who care for the most helpless and voiceless among us, homeless cats, are true heroes. Such selfless kindness is rare these days. May these wonderful people serve as examples to others. These wonderful folks at Life's Abundance just forwarded this blog to me so I could see the write-up they posted for us. I'd like to take this opportunity to thank them personally for their support and inspiration this past year. They take the needs of the small groups very much to heart and know that it is indeed small groups like ours around the country that are making the biggest differences in our neighborhoods. I can't thank you enough for these heart felt posts. News from Dr Jane's foundation always makes my day and makes me proud to be a customer. You should be real proud to be able to do good things for these God's creatures.